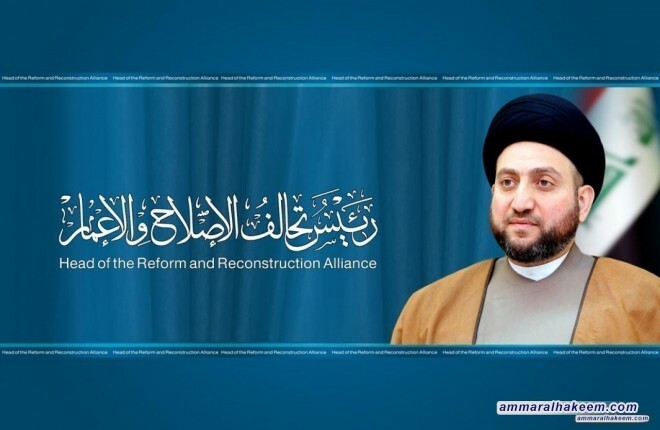 Head of the Reform and Reconstruction Alliance, Sayyid Ammar al-Hakim, recalled the Halabja crime in its 31st anniversary, pointed out that Halabja will remain a beacon of revolutionaries against injustice and an umbrella of national unity among the sons of one homeland. His eminence pointed out that targeting Halabja with chemicals by Saddam's Baathist regime is a crime of genocide and a crime against humanity, and crimes condemned by the international community and the world conscience during world wars, and considered crimes an extension of those crimes in Halabja and Anfal, the 1991 uprising, the execution of scholars and students of Hawza. And demanded to activate Baath Criminalization law and accountability of all promoters of that dark period, urging cultural institutions to take their role in documenting that period through the media, art, drama and literature.